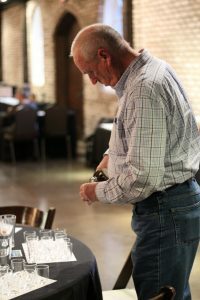 You can’t claim to know your way around a bottle of bourbon in 2017 without knowing who Jim Rutledge is, but if somehow you don’t know who he is, it’s time you learn. Jim Rutledge is the former Master Distiller of Four Roses Bourbon, he earned the title of Master Distiller in 1994. Jim started out with the Seagram brand in 1966 in the Louisville R&D plant and ended up as the head of Industrial Engineering and Budgets for 17 years in 1975. When you do a job and do it well, you start to pave your own path. Sure enough, in 1992 Jim made his way over to Four Roses and was responsible for overseeing budgets. Shortly after in November of 1994, he took over as Master Distiller with a mentality of authenticity and determination to build the brand. He fought tooth and nail to bring Four Roses Bourbon back to the U.S.
You wouldn’t know it by looking at them today, but Four Roses wasn’t always a booming brand. When Jim took over as Master Distiller in 1994, Four Roses was not available for sale in the U.S. even though it was being distilled in Lawrenceburg, Kentucky. You read that right, you couldn’t find the juice on this here American soil. Good ol’ Jim Rutledge is the reason you’re reading this article right now, the reason you care to know who Four Roses is, and is the artist behind sweet and spicy nectar we’ve all come to appreciate. After 49 years with the company, Jim retired from Four Roses on September 1, 2015 when he officially passed the torch to current Master Distiller Brent Elliott. We met with Jim about a month ago and had the opportunity to shoot the breeze and catch up on what his plans are for his new distillery, the J.W. Rutledge Distillery. At the time of our conversation, things weren’t set in stone, but we’re hopeful that he gets up and running sooner rather than later. The struggles he faces are the same reasons he’s a legend. Jim believes in doing things the right way, and the right way takes time. That can be a little hard to hear as an investor into a big project, everyone wants quick returns and everyone wants to cash in on this bourbon boom. That said, us and all the other Bourbon Sippers out there know, quality always wins over time. 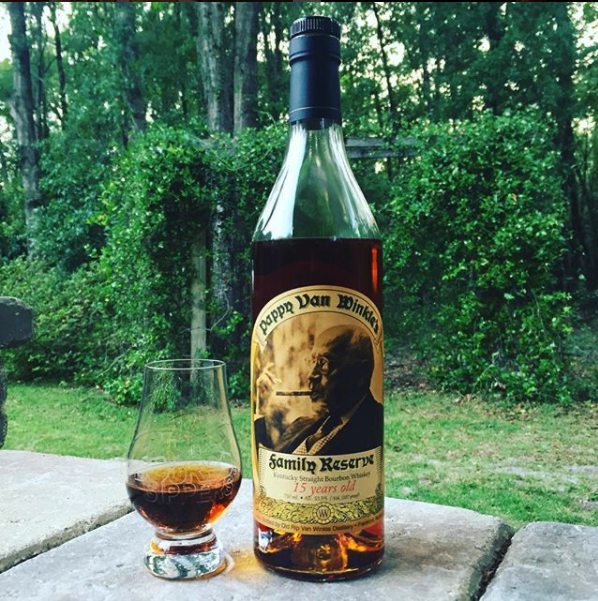 We talked through how the title of “Master Distiller” seemingly has little value anymore when it used to mean so much. It used to be that the title was earned, nowadays it’s nothing more than a marketing title given to the latest craft bourbonpreneur. I want to note that Jim didn’t sound frustrated about this, he was genuinely puzzled about why someone would take on the title without the product to back it up. That’s what happens when you’re in it for the right reasons, there is no ego, it’s all about producing the best product. Hearing the way Jim handled that conversation was the best part of talking with him. It allowed me to see how genuine he was and how much he cared about being the best Master Distiller he could possibly be. It’s time you raise your glass to one of the best in the business, and in a few years when you pull out the Four Roses “dusties” from the Rutledge era, do a side-by-side with the award winning J.W. Rutledge Single Barrel Barrel Proof.